He always had a rough deal. He strayed as a young man, a situation that would have been perfectly acceptable if he had picked the approved rogue group or terrorist collective to vent his adolescent angst. Al Qaeda, and their Taliban hosts, were not on that list. Having fallen out of favour with the Oscar equivalent of good terrorist nominees, Australia’s David Hicks found himself in the dark, picked up in Afghanistan in November 2001 and conveyed to that terrestrial nightmare known as Guantánamo Bay soon after. From January 2002 to March 2007, he was detained at the US Naval Base on the island. Over five years later, he was sentenced (on March 31, 2007) by Military Commission to a term of imprisonment of seven years. A bilateral transfer prison arrangement between the US and Australia followed, with Hicks returning to Australia in May 2007 to serve seven months of his sentence. Suspecting that his behaviour might turn, the Federal Magistrates Court imposed an interim control order on Hicks on his release on December 28, 2007. Unfortunately for Hicks, the military commissions, fanciful creatures of executive contrivance, were more real than most. 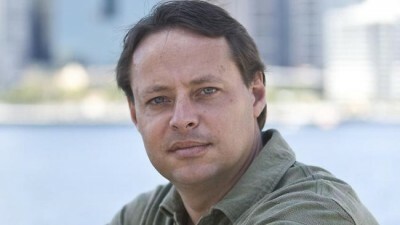 It would take till February 2015 for the courts to find in David Hicks v United States of America that he was innocent, an acknowledgment that led to the vacation of his sentence for providing material support for terrorism. That greatest of legal sins – retroactivity – had come into play. Then came, all too late, the United Nations Human Rights Committee’s consideration about what happened to Hicks relative to the International Covenant on Civil and Political Rights. It was submitted on September 10, 2010, and took over five years to finalise. It reads much like a re-learning of the alphabet of international law and obligations, and its pitfalls. As we all know, that alphabet tends to lose letters rapidly when it comes to the matter of domestic self-interest. Unfortunately, the UNHRC proved that it, too, can fail when tested on the subject of how the Covenant applies. Narrow and distinctly tunnelled, the decision will leave human rights lawyers and activists troubled. Communication No. 2005/2010, otherwise outlining “Views adopted by the Committee at its 115th session (19 October-6 November 2015)” considers such points as retroactive punishment, torture, arbitrary detention, conditions in detention, unfair trial, non-discrimination and the right to privacy. The subject of Hicks grief was the Australian participation in a sordid affair of penal imagination. The main question charging the UNHRC was whether Australia had jurisdiction over the subject “while he was in the custody of the United States.” The fact that the US had not ratified the Optional Protocol to the Covenant did not prevent the committee from examining Hicks’ concerns regarding Australian responsibility even during his time in US custody. Time and time again, the Australian case regarding Hicks has been one of dismissal and lack of interest. If Hicks was being tortured, that would pose no concern to the satraps in Australia. If Hicks was being subjected to novel forms of military commission, then that could hardly trouble Australian consul officials. As long as some machinery was turning to punish Hicks, Australia’s officials would be content that someone was doing their job, even when if the grounds were spurious. Offshoring justice, it could be argued, is a very distinct trait in Australia’s legal culture, an effort to lighten the obligations imposed by international law. Hicks’ powerful argument on torture centred on Australia’s failure to investigate allegations of its commission while in US custody. In rebuttal, Canberra’s argument was that it had no obligation under the Covenant “to investigate allegations of torture relating to conduct outside the jurisdiction of a State party.” Such an argument, if accepted, would suggest that torture can, by its very nature, be outsourced, kept beyond the jurisdictional control of the citizen’s country. If another state is doing it, one is under no obligation to intrusively assist citizens. Having considered that aspect, the Committee still felt, rather fancifully, that spending seven months in Australia, despite being a violation, was a form of mitigation of harm “he would have suffered had he continued to be kept” at the Guantánamo Bay facility. One ill had been mitigated by another. Hicks’ counsel also failed to get what they wanted on claims that the Covenant was breached over the imposition of the control order once he was released from Australian prison. The UNHRC decided that challenging the discretion of the Federal Magistrate judge in the matter was not something it could do lightly. There was no obvious “arbitrariness or denial of justice”. Again, legal novelty prevailed, with a regime of continued punishment left undisturbed by international scrutiny. Hicks did get some satisfaction regarding his claim of arbitrary detention (Art. 9(1)) for the seven months of his sentence served in Australia proper. But in doing so, the UNHRC’s verdict was narrow, and its effect limiting. The large points were left undisturbed. As the Director of the Castan Centre for Human Rights Law at Monash University observed, “the UNHRC ultimately focused on the lowest-hanging fruit”. The sordid tale of Australian complicity remains unchallenged.